Salt Lake City Mayor Jackie Biskupski delivered the 2019 State of the City address Jan. 17 at East High School, to an audience of roughly 100 people. The people in attendance ranged in age from late twenties to late fifties, and included members of the Salt Lake City police and fire departments. Refreshments were served after the speech concluded around 7 p.m.
Mayor Biskupski began her speech by addressing the recent government shutdown. “The shutdown erodes people’s faith in government,” Biskupski said. As a member of the LGBT community herself, Biskupski felt it was her responsibility to establish clubs within area schools where students struggling with their sexuality can have a place to feel like they are a part of the student body. Salt Lake City passed an affordable housing program for the first time in two decades. In 2016, there were 2,500 new affordable housing structures built. There were also 2,400 units of transitional housing built. “For the past ten years, Salt Lake City has become a model for the affordable housing crisis,” Biskupski said. There was also a ten million dollar investment toward the future women’s resource center, which will be located on 200 East and State St. The center will include job training programs for women and lofts for artists made from cargo containers. Biskupski declared a 25 percent decrease in crime and thanked Chief Mike Brown of the Salt Lake City Police Department. “As residents of the city of Salt Lake, you are safer here today than you were three years ago,” Biskupski said. Biskupski announced a new YWCA program to identify the signs of strangulation, which affects 10 percent of domestic violence victims. “Nobody should ever find themselves in the emergency room lying about what happened like I did years ago,” Biskupski said. 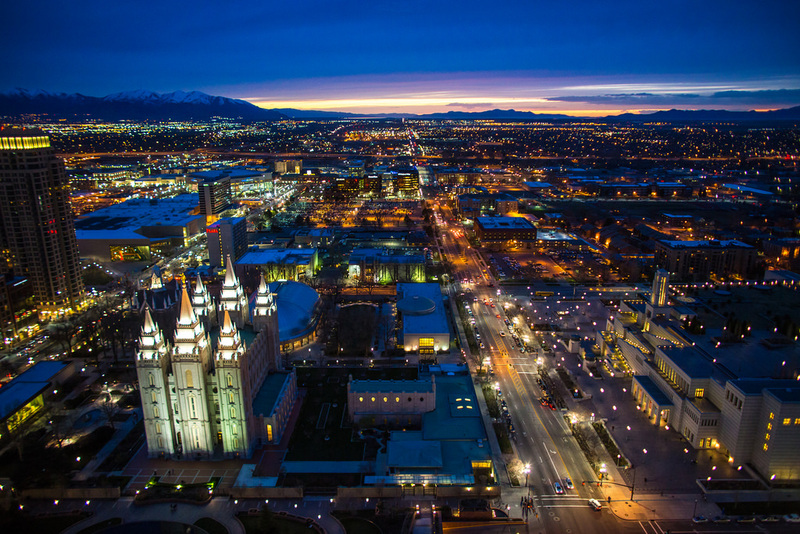 Salt Lake City became the 16th city to formally adopt a 100 percent clean energy plan. According to the mayor, 50 percent of our power energy will be clean by 2020. Salt Lake City will host an open house Feb. 9 to allow residents to give feedback on the new bus line. The bus line will be for 900 South, 2100 South and 200 South.